When many Elite League and Premier League sides run National League fixtures they rarely draw a good crowd, sometimes running at a loss, but running for the sake of developing assets for the future. This was something completely different, promoters Gary Patchet (Birmingham) and Chris Van Stratten (Wolverhampton) agreed to allow the Heathens with club chairman Nigel Pearson -(now to be known as the Dudley Heathens,) to use their facilities. 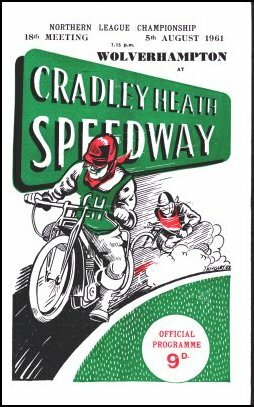 Initially it was expected that their own supporters would be supplemented by supporters from the old Cradley Heathens club. However after some 14 years, not many expected what was going to happen, the old Cradley fans came out in numbers that would put some Elite league tracks to shame. 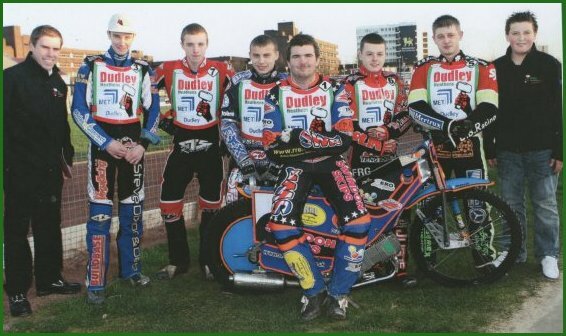 Sky Sports presenter Nigel Pearson installed Will Pottinger (grandson of former Heathens sponsor and promoter) as team manager for the new Dudley team. The crowds continued to flock in at both Perry Barr and Monmore Green with Monmore having the edge. Heathens fans soon had new hero's to cheer, none more so than Lee Smart who went on to become National League Riders Champion later in the year and was voted by the Dudley News as their Sports Personality of the year, and he didn't just win it, he absolutely ran away with it, some achievement for someone riding for a club outside the Borough! Lee was not the only veteran in the team, Jon Armstrong also starred, he joined the club after Ben Taylor got injured in the first meeting against the American Dream Team at Perry Barr. Armstrong had been injured with a broken leg and knee damage. He soon got back to form and was an inspiration to the younger lads in the team, who were soaking it up like sponges. That apart the fans took to him as an adopted hero, but 'Armo', was vulnerable to injury and sure enough he guested for Newport at Kings Lynn in August and broke his arm and toes. Since Mildenhall had withdrawn from the National League, the Heathens took Barrie Evans, the Fen Tigers star man. Another addition to the side was Australian Micky Dyer who was drafted in to replace the off-form James Sarjeant. His fellow countryman Jake Anderson proved to be a good performer particularly on away tracks but found the Monmore Green track difficult. Dudley's real find of the season was Tom Perry, a star on the grasstrack, who took to the shale like a duck to water upping his average from his assessed 3.00 points to a remarkable 6.99 for official matches. The reserves were amongst the best in the National League with local lad Ashley Morris and former Coventry mascot Richard Franklin. The side was very successful, finishing at the top of the National League table. Unfortunately they couldn't quite finish the job, with Buxton ending the Heathens title hopes winning 50-40 at Monmore Green (re-named Monmore WOOD by fans and management alike with meeting presenter 'Porky', adding extra entertainment for the fans) then finishing the job in the Peak District 49-43 The Heathens also lost the home leg of the KO Cup semi-final to Buxton 47-43 and despite a brave 48-45 win at Buxton they couldn't deny the Hitmen a place in the Final. Such good crowd figures can only enhance the Heathens chances of finding a new piece of land for a stadium in the Dudley / Sandwell area. Mildenhall withdrew from the league in August and subsequently all of their results from the 2010 season have been expunged. at Rye House with 14 points. Copyright: Steve Johnson & Cradley Heath Speedway Ltd. 2014.